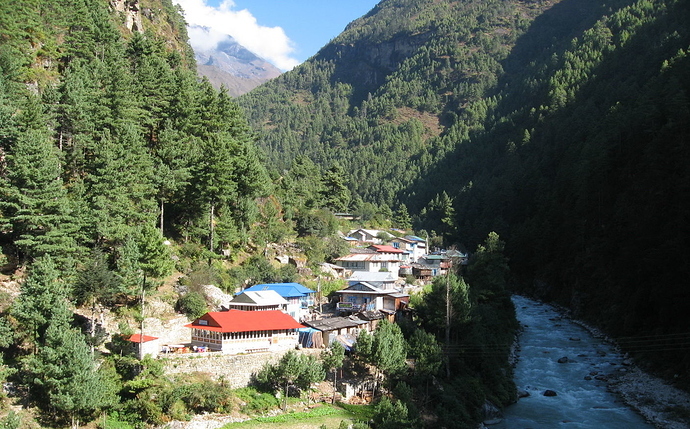 Jorsale village, Nepal. Based on a work by Dario Severi, licenced CC-BY-SA 3.0 Unported. What is the Autarky Library? This is a collection of material to learn autarky (economic self-reliance / self-supply) for individuals, households and villages. All materials relevant for that can be included here, as long as they are more comprehensive than the ubiquitous article format. Only material that is free to download is of interest here (with a few exceptions). Here is what we found so far, and you’re welcome to extend it (just edit away, this is a wiki). Licence. This work is licensed under a Creative Commons Public Domain Dedication CC0 1.0 Universal licence. This means “no rights reserved.” By contributing to this first wiki post, you agree to licence your contributions likewise. Note that this licence only applies to this page “Autarky Library”, while edgeryders.eu content by default is instead licenced under CC-BY 3.0 Unported (see section 3.1. here for details). Audience. Due to the nature of the materials available for free download, this library is for an “educated” audience: those who can read English, have the equivalent of secondary education, and access the Internet with a computer and not “just” a smartphone. Reason: virtually all included e-books are in English and in PDF file format, not properly navigable on smartphones (it may work with tablets though). Why only in English and PDF? These limitations are unfortunate, but that is the only material available for free download. Our ideal case would be a “Khan Academy for autarky”, with all materials available under open licences and in local languages in the default e-book format to be readable on phones, combined with a synced audiobook version in the same EPUB file. However, that is an amount of work that we simply can’t manage without significant funding, as it would require licencing negotiations (paying the publishers to get an open content licence for works). That will often fail, as it is notoriously difficult to find the copyright status of works and make contact with the rights holders. In these cases, we’d have to write new books to fill the gaps. Note that paywalled works are not acceptable: cash-poor people in villages simply cannot afford them, and they would be read only by a tiny fraction of those who need them. Another issue is the translation of books to local languages – we don’t think we can find the resources to do that for 500 - 1000 books. We would be able to legally provide a script that converts PDFs to EPUB format, with optimizations for each work. However, due to the English language and reading level, it would still be for an “educated” audience, and this audience can handle PDF files as well. How can Autarky Library help in villages? The real audience of the Autarky Library are people in low-infrastructure villages, most of whom are without significant help from government or NGOs. However, it has to reach them indirectly. One way is that “educated” people adopt one village each, to live there and consult the locals on appropriate technology solutions etc. found in the Autarky Library. With one person or couple for one or a few villages of ca. 5000 people, one million people can be served by 200 “autarky experts”. And to make at least the most relevant content available to villagers directly, we plan to provide a Stack Exchange style Q&A site in parallel to Autarky Library. It will be mainly in English, with semi-automatic translation to and from local languages so that locals can ask questions and get advice. Providing the essential bits and pieces of information when and where villagers need it will also be more adapted to how they like their content delivered, instead of in long books. Consulting services available! If you face a challenge in one of the areas covered by the Autarky Library and are looking for expertise, you might find it here in the Edgeryders Community (4,700+ changemakers and innovators). Especially around innovations in appropriate technology and projects for ecological restoration, the main author of this autarky library provides research, innovation and project management services. The following is a list of the collections in which the literature listed below has been found, as named in the references from that literature list. These collections are huge, so you’ll be able to find gems that we did not discover yet – welcome to add them here, of course. The collections below are roughly ordered by how “great” their content is for our Autarky Library, where “great” is the product of quantity and quality. New Zealand Digital Library. An absolutely amazing collection of relevant works – nearly everything there is relevant here. Probably exceeding one million pages if printed. However, nothing is in EPUB format. Practical Answers Resource Library. Absolutely amazing collection with hundreds of free e-books about everything in development collaboration, agricultural extension and appropriate technology. All e-books are recently written, well researched material provided by Practical Action, a NGO focused on appropriate technology solutions. Free Google eBooks. Basically a filter in Google Book Search that allows to find those that can be downloaded as a PDF. Basically all out-of-copyright books resulting from the (otherwise failed) Google book scanning project. Note that the Google Books search will only find books digitized by Google (i.e. on the books.google.com domain), and that this does not include all out-of-copyright books available digital somewhere : the other sources in this list may have additional ones. But the Google OCR and digitization quality tends to be the best, so if you can choose, get the version from Google, except where a manually proofread version is available. OpenLibrary. A different kind of interface to the free e-books of the Internet Archive. They allow everyone to contribute to adding descriptions to any book, whether it is available as an e-book or only in print. All e-books can be either read online or borrow for free (means only one person at a time gets two weeks of access to it, and there is a waiting list). There are various advanced search operators, but unfortunately none that allows to filter for freely readable e-books only (those you can only borrow are always included when filtering for e-books only). Internet Archive: Books to Borrow. 690,000 e-books that can be borrowed. Probably all of these are also available in the more structured and convenient Open Library interface (see above), so this collection does not really add anything. Hathi Trust Digital Library. A common project of multiple U.S. university libraries, providing online access to books. Provides a great full-text search. Interestingly, it allows access to many books “digitized by Google” that are not accessible via Google Books (example – compare Google Books record). PDF downloads are usually only available to institutional partners, but page images can be saved without issues. Works within 1878–1922 that were published by a non-U.S. publisher are only accessible with U.S. IP addresses since their copyright status outside the U.S. is unclear (details). Often however, the same work is available both from U.S. based and U.K. based publishers, for example. The Online Books Page. A listing of more than 2 million freely available e-books from around the web. Best is to search by title. Does not host books on its own, but lists works from Hathi trust, Google Books, Project Gutenberg, archive.org etc. ; still, a great way of comprehensive search in all of these at once. WikiSource. A Wikipedia-affiliated project to put out-of-copyright and openly licensed works online, in a way that everyone can contribute to and edit. Currently includes ~400,000 English books and other texts, all of which can be exported automatically to EPUB, PDF and MOBI formats. GIZ Publications. More than 30,000 high-quality publications of the German Society for International Cooperation (GIZ). Often short documents, but also containing long books. All in PDF format. Note that this content is not currently indexed by Google – you can only find these PDFs directly in their online database. A second database by GIZ providing access to the same content is the GIZ Publication Database. Most of the best e-books also appear in other collections (NZDL, see above; and CD3WD, see below), but mostly not as PDF files, in contrast to here. Soil & Health Library. A very valuable collection of several hundred works, for download as full-text PDF. Many are new-ish, still-in-copyright but out-of-print works that are made available under a clause of Australian copyright law that allows this “for purpose of study”. Some of the works are unscientific (biodynamic growing etc. ), so be selective. The collections of value are: Agricultural Library (120 works), Herbal Medicine Library (50 works), Homesteading Library (35 works). Practical Acton Development Bookshelf: Open Access Books. An index of about 50 high-quality free to download books about topics of development assistance and appropriate technology. The National Academy Press. All Reports of the U.S. “National Academies of Sciences, Engineering and Medicine”, available free to download as PDF and often also EPUB and MOBI. Contains amazing works on obscure agricultural topics. Dissertations and master theses. In contrast to journal articles, these documents have book length, and are almost always provided for free. Project Gutenberg. A large collection (ca. 50,000 books) of digitized out-of-copyright works, proofread by a distributed community of volunteers. WikiBooks provides many Project Gutenberg works in a manually derived version with improved formatting and automatic, high-quality EPUB export (example). There is a problem with access in Germany. Because of absolutely silly German laws, access to all works from German IP addresses is blocked by Project Gutenberg (details). As a solution we provide links to works from Project Gutenberg not directly to the gutenberg.org files but to a mirror. Which is, oh the irony, hosted on the servers of a well-known German university. Agrodok publications: This is a copy of the Agrodok Series by Agromisa and CTA Publishing. The series is also for download at CTA, but no longer available for free download at Agromisa. The series consists of about 50 high-quality books about agricultural topics, with a focus on the tropics. E-Pustakalaya. The best digital library project in Nepal. Contains mostly English works. Most books are not part of any collection or other index lists, so the best option is to go through everything. Hesperian Health Guides. An organization that specializes in producing medical books for use in low-infrastructure regions (“development countries”). They are often translated in multiple languages, and often they provide the English version for free to read online and in PDF form. All of these freely available books have been included in the “complete library” list below as of 2018-12-17. Self-Sufficiency-Guide e-books. Small (5-50 pages mostly) e-books about various aspects of self-sufficient energy, water and gardening. WikiBooks. Wikipedia-affiliated project to create original, open content licensed e-books. Most of the ~3000 books are far from being finished, but probably 20-50 of them will be worthwhile considering. Start with the list of books by subject. Village Earth Appropriate Technology Library (offline). Consists of 1050 books on a USB thumbdrive, for 69 USD. The online checkout is broken at the moment, both here and here (2018-06). All contained books are listed in the Appropriate Technology Sourcebook, and the version on Appropedia sometimes has links to online versions of these works. Other works might be available through the collections above that are freely available online, so it is not (yet) clear how much “exclusive” content one would get when purchasing. To be checked. United Nations Information Centre Kathmandu. A digital repository of ca. 10,000 documents about the work of UN in Nepal. Most are short or abstract documents, but there will be some gems for direct use in a library like this. Scribd. This is not anymore the PDF sharing platform it once was, but now contains thousands of books, incl. about topics like homesteading. These are not free to access, but there is a flatrate access for ~9 USD/month. Often, a DRM-free PDF download is provided and if not, saving the page images to disk and creating a PDF from that is a simple job (that can also be automated). So a paid subscription is not required permanently. Smithsonian Libraries: Books Online. All the free-to-read books from the Smithsonian Libraries. However, they simply embed the Internet Archive reader for all these works, and do not offer any better search option, download formats or meta info. So we will better simply link to The Internet Archive in these cases. OverDrive e-book lending. This is the world’s largest digital reading platform for libraries and schools, used by 40,000 libraries worldwide. It’s basically a service for libraries and school libraries to allow them to start e-book lending, providing both the software infrastructure and “the largest catalog of its kind” of e-books, audiobooks and other digital media for lending. Now the idea of e-book lending is rather hilarious since it’s a blatant incarnation of artificial scarcity. But still, it’s a free and legal way to read commercially sold e-book – as e-book lending from the library is free. You have to go through a lot of hoops though: it requires a (usually cheap) membership in the local library, which may only be available to people living in that city, and in most countries that’s just not your city. So you need a friend in the right city. And then libraries offer only a subset of the OverDrive e-books, so you might need to become a member of multiple libraries to get to the e-books you want. And then, the e-books are DRM protected and will be “returned” so you can’t access them anymore, which is another annoyance to deal with. Hardcopy-only works and paid e-books. These works are not directly useful for the library, as licence issues prohibit their distribution. However, we might be able to negotiate an open content licence, and otherwise can use these works to create own works with information provided in them. Free Google Play E-Books. This is currently the worst collection, containing mostly trash romance literature and not a single work relevant for autarky (the closest is Smoothie Recipes ). However, this library is well integrated into every Android phone via the Google Play app, so it might be a good idea to publish open content works of the Autarky Library there if we create or convert them some time in the future. Special mention: 405 free books about permaculture and agroecology (Spanish). All these books are in Spanish, but if you understand Spanish or perhaps use automatic translation, the collection will be highly valuable. Specification-only entries. In addition, some selected works are only specifications – means, we could not yet determine any freely available e-book that could fill this spot. These items can be recognized by starting with “(spec)” and not having a linked title. Progress marker. The “complete library” list has been processed up to and including item no. 399 for inclusion of works into this “Selected Works” list. (291.) Profitable plants; a description of the principal articles of vegetable origin used for food, clothing, tanning, dyeing, building, medicine, perfumery, etc. In no particular order. New works are simply added to the bottom and get a new number. This way, the number can be used as an identifier / reading list marker, including in links from the “Selected Works” section above. Village Technology Handbook. 441 pages. Very good book covering all aspects of village life. Includes for example detailed instructions and machinery construction plans for manual well drilling. Paper based versions, including cheap book-on-demand reprints from India, are available here. The Complete Book of Self-Sufficiency. 1976. 258 pages. This book is said to be the standard work that “practically invented modern sustainable living”. Covers all aspects of farming and home production. Machines and tools proposed are usually DIY-producable, as nearly none of them are electrical. The Encyclopedia of Country Living. 1994. 895 pages. A very complete book. Not going too much into details, but covering everything sufficiently in “encyclopedic fashion”. Con Nuestros Propios Esfuerzos. An ingenious book with all the hacks from Cuba’s Special Period. The link shows page previews; there is a large (180 MiB) PDF version here, and smaller (35 MiB) ones here and here. The large version is the highest-quality version I could find on the web, but the quality is still miserable and not really better than in the smaller files. One Hundred and One Technologies - From the South for the South. The Farmers’ Handbook. A complete permaculture manual by Chris Evans and Jakob Jespersen. Written for Nepal but applicable worldwide. Available in English and Nepali, with the Nepali version available only in print. Comprehensive Guide to Wilderness Medicine. 105 pages. U.S. Army Survival Manual (Field Manual No. 21-76). 646 pages. Great content, though not all wartime survival knowledge is relevant for autarkic living of course. Also available in individual PDFs per chapter. Bridges To Prosperity Bridge Builder Manual. 2017. Fifth edition. Available for free download after filling a form. Very good content that walks through the process of designing and building a foot passenger suspension bridge with a maximum length of about 50 m.
Footbridges – A Manual for Construction at Community and District Level. To Catch the Rain. About rainwater harvesting. The book is open content but you need to enter your email address to get it. The self-reliant potter: Refractories and kilns. Very thorough instructions for building and using kilns to fire earthenware. Small scale production of lime for building. Plans for a plant that can produce up to 14 tons of lime per day. Lime can be used as a replacement for portland cement in building. Project and Stove Design for Large Scale Cooking in Developing Countries – A Guide Book. How to Make Tools. 58 pages. A nearly primitivist approach as it starts with making a hammer and then bootstrapping everything else with that. Also available from Hathi Trust. Basic Sewing Machine Repair. 68 pages. Zig Zag Collector – Manual on the construction of a solar water heater. 50 pages. A high-quality document. Solar Water Heaters in Nepal. With plans for building them. Second edition, 1990. Source Book of Alternative Technologies for Freshwater Augmentation in Latin America and the Caribbean. Covers interesting topics like artificial recharge of aquifers and underground dams, which allow to create springs and wells in semi-arid areas. Simple Solar Still for the Production of Distilled Water. 1965. 9 pages. Can produce ca. 3 l per day with an area of 120×50 cm. Solar distillation. 1993. 8 pages. Introduction about solar stills, producing about 2-3 liter per m² and day from saline water. Wind rotor blade construction. 27 pages. Solar panel testing and repair. Supplement Energy for Rural Development. Not too much in-depth, but offers quite some inspirations because it touches what they considered innovations and “future technology” in 1981. Can be downloaded as PDF. Also available as PDF from National Academic Press. How to Install a Polyethylene Biogas Plant. Engines for Biogas. 1988. 133 pages. Covers the conversion of both diesel and petrol engines to biogas fuel. Low cost charcoal gasifiers for rural energy supply. Plans for a ferrocement based gasifier that can drive a combustion engine. How to Dry Fruits and Vegetables. 1970’s or 1980’s. 15 pages. Solar Drying Technology for Food Preservation. 2001. 8 pages. The Household Cyclopedia of General Information. 1881. 300 articles about everything around the household and farm. Dry Composting Latrines in Guatemala. Carpentry for Vocational Schools - A Teacher’s handbook. 252 pages. Small-Scale Manufacture of Footwear. 228 pages. SAS Survival Guide. A wilderness survival manual by a former trainer of the Special Air Service, a unit of the British Army. Musings of a Man in Black: Prometheus. A piece of survivalist literature, dealing with “the coming collapse”. Treats survival kits, carrying equipment and radio communications. Licenced under CC-BY-NC-SA 3.0. The Knowledge: How to Rebuild our World from Scratch (offline). Parts available online via Google Books. Five Acres and Independence: A Practical Guide to the Selection and Management of the Small Farm (offline). 1940. 397 pages. A book covering all aspects of a self-sufficient small farm. Mini Farming: Self-Sufficiency on 1/4 Acre (offline). Mentioned as the inspiration of the even more extreme “dense farming” practices of The Urban Homestead, which they consequently call “micro farming”. Books by John Seymour (offline). He was an early author of the self-sufficiency movement, starting to write in the 1960s about this topic. The Constructions of Roads and Streets. 1877. 345 pages. A Practical Treatise on Mill-gearing, Wheels, Shafts, Riggers. 1877. 120 pages. Discusses how to build a windmill / watermill to do mechanical work. Manual of mining tools, illustrated by an atlas. 1871. Ca. 220 pages. Discusses mostly manual tools for artisanal mining. A Practical Treatise on Concrete and how to Make it: With Observations on the Use of Cements, Limes and Mortars. 1869. 108 pages. The Practical American Millwright and Miller. 1870. 423 pages. An Elementary Handbook of Applied Mechanics. 1873. 149 pages. Discusses the production of raw metals, mechanical laws, and simple mechanical devices. Not much in-depth though. Appleby’s Illustrated Handbook of Machinery. Section I. – Prime Movers. 1877. 78 pages. Appleby’s Illustrated Handbook of Machinery. Section II. – Hoisting machinery. 1877. 162 pages. Very interesting because all these lifting devices are quite low-tech. Handbook for Battery Energy Storage in Photovoltaic Power Systems. 1979. 131 pages. Discusses lead-acid and nickel-cadmium batteries. Lead-acid batteries have not progressed much since 1979, so it might still be applicable. Handbook of Chemistry, for School and Home Use. 1869. 205 pages. Includes a discussion of the elements, of distillation and fermentation. Probably not too useful, as when processes have to be developed this is not enough in-depth, and obviously omits modern chemical processes. Still, sometimes the older ones are better for small-scale operations. Handbook of Chemistry. 1861. Ca. 530 pages. Very in-depth, potentially of good use. A Handbook of Chemical Manipulation. 1857. 580 pages. Very nice, as it discusses not so much chemical reactions but lab equipment and how to make it. The handbook of turning. 1842. 225 pages. Available in EPUB and PDF formats for downlod (not just PDF as most other Google Books). Something more concise and in-depth would be desirable, but this is a good start. A Handbook of Chemical Technology. 1872. 745 pages. Very in-depth, detailing all the processes available in the chemical industry of the time, at a technology level that is achievable in autarkic settings. A new family herbal; or, A history and description of all the British and foreign plants which are useful to man. 1870. 439 pages. Obviously, extreme care and diligent research has to be exerted before trying any herbal preparations of times before modern medicine. So this is more a basis for research and not a manual, though some gems are in it for sure. The New Family Herbal: Comprising a Description, and the Medical Virtues of British and Foreign Plants, Etc.. Very similar to the one just above. The same precautions apply. Culpeper’s Complete Herbal. 1816. 398 pages. Even older than the works above, so be even more careful. Practical Pharmacy: the Arrangements, Apparatus, and Manipulations, of the Pharmaceutical Shop and Laboratory. 1849. 390 pages. A Manual of Vegetable Plants: Containing the Experiences of the Author in Starting All Those Kinds of Vegetables which are Most Difficult for a Novice to Produce from Seeds. 1877. 102 pages. Available in EPUB and PDF format. Canning Vegetables in the Home. 1909. 16 pages. Drying Fruits and Vegetables in the Home: With Recipes for Cooking. 1917. 29 pages. With many illustrations of driers, and instructions how to build them. Preservation of Vegetables by Fermentation and Salting. 1917. 15 pages. Diseases and insects of garden vegetables. 1937. 58 pages. Again, natural remedies and chemical concoctions. Better only use the natural ones. Home Canning of Fruits, Vegetables and Meats. 1942. 48 pages. Pepper Production, Disease and Insect Control. 1959. 34 pages. A Vegetable Gardener’s Handbook on Insects and Diseases. 1946. 30 pages. Vitamin and Mineral Values of Vegetables as Served in an Army Mess. 1947. 18 pages. Some interesting knowledge on simple analysis methods, and some interesting data points (“potatoes lost 50% of vitamin C during boiling, mashed potatoes lose more than 80%”). Home vegetable gardening: in the central and high plains and mountain valleys. 1949. 98 pages. Vegetable Gardeners’ Handbook on Insects and Diseases. 1951. 30 pages. Sustainable production of fresh-market tomatoes and other summer vegetables with organic mulches. 1997. 23 pages. The Home Vegetable Garden. 1906. 47 pages. Includes planting times, cultivation hints, and a section on home gardening tools. Vegetable and Fruit Dehydration: A Manual for Plant Operators. 1944. 218 pages. Very useful, in-depth document. The Kitchen Gardener’s Instructor. 1836. 128 pages. Wild Apples. Project Gutenberg text no. 4066. Tree Crops: A Permanent agriculture. 1929. 400 pages. Said to be one of the best works on agroforestry and forest farming. Three Acres and Liberty. 1907. Project Gutenberg text no. 4509. Also available from Soil & Health Library in a 1922 edition. The Farm That Won’t Wear Out. Project Gutenberg text no. 4525. Soil Fertility and Animal Health. A very substantial work discussing nutrient cycles in grasslands and their implications fr animal health (and by extension, for human health). This is by one opinionated author and contains original research and some assumptions, so don’t take it as the consolidated opinion of scientists but as a great inspiration for solving local problems. Dry-Farming. Project Gutenberg text no. 4924. Factors Of Soil Formation: A System of Quantitative Pedology. 1941. 191 pages. Said to be one of the best books about soil buildup. Farmers of Forty Centuries. Project Gutenberg text no. 5350. Home Vegetable Gardening. Project Gutenberg text no. 7123. Also partially available on WikiSource, derived from the Project Gutenberg text (see), but with better formatting. Dry Farming: Its principles and practice. 1909. 306 pages. Common Diseases of Farm Animals. Project Gutenberg text no. 8502. Domestic Cookery, Useful Receipts, and Hints to Young Housekeepers . Project Gutenberg text no. 9101. Conquest of the Land Through Seven Thousand Years. 1948. 32 pages. A survey of soil erosion worldwide, documenting how short-sighted human activity ruined most places that were once fertile. It asserts that, for example, the loss of agriculture from Roman times to today in Tunisia is due to loss of soil, not due to climate changes. Manual of Gardening. Project Gutenberg text no. 9550. Chemicals, Humus and the Soil. 1957. Directions for Cookery, in its Various Branches. Project Gutenberg text no. 9624. Woman’s Institute Library of Cookery, Vol. 1. Project Gutenberg text no. 9935. Woman’s Institute Library of Cookery, Vol. 2. Project Gutenberg text no. 9936. Woman’s Institute Library of Cookery, Vol. 3. Project Gutenberg text no. 9937. Woman’s Institute Library of Cookery, Vol. 4. Project Gutenberg text no. 9938. Woman’s Institute Library of Cookery, Vol. 5. Project Gutenberg text no. 9939. A Training Manual For Soil Analysis Interpretation in Northern California. 1999. English Housewifery Exemplified. Project Gutenberg text no. 10072. Reform Cookery Book 4th edition. Project Gutenberg text no. 11067. Our Farm of Four Acres and the Money we Made by it. Project Gutenberg text no. 11555. The Biochar Revolution: Transforming Agriculture and the Environment (offline). 2010. 361 pages. The first chapter (52 pages) is available for download, the full book is available commercially (still in copyright and in print). Science in the Kitchen. Project Gutenberg text no. 12238. Fertility Pastures: Herbal leys as the basis of soil fertility and animal health. 1955. Old Cookery Books and Ancient Cuisine. Project Gutenberg text no. 12293. American Cookery. Project Gutenberg text no. 12815. Wildflowers of the Farm. Project Gutenberg text no. 13347. Knots, Splices and Rope Work. 1944. 146 pages. Also available in an older addition, with proofreading, as Project Gutenberg text no. 13510. Water Supply: the Present Practice of Sinking and Boring Wells. Project Gutenberg text no. 45703. The Allinson Vegetarian Cookery Book. Project Gutenberg text no. 13887. The Whitehouse Cookbook 1887. Project Gutenberg text no. 13923. Cassell’s Vegetarian Cookery. Project Gutenberg text no. 14594. The Culture of Vegetables and Flowers From Seeds and Roots. Project Gutenberg text no. 16232. The First Book of Farming. Project Gutenberg text no. 16900. The House Fly and How to Suppress It. 1926. 16 pages. Project Gutenberg text no. 18050. Vaughan’s Vegetable Cook Book. Project Gutenberg text no. 19775. Rural Architecture. Project Gutenberg text no. 19998. 1851. 381 pages. Discusses several designs for rural farmhouse living units, plus housing designs for various farm animals. Apple Growing. 1912. ≥164 pages. Project Gutenberg text no. 20770. The Field and Garden Vegetables of America. Project Gutenberg text no. 21682. The Handbook of Soap Manufacture. Project Gutenberg text no. 21724. A Plain Cookery Book for the Working Classes. Project Gutenberg text no. 22114. Gardening Indoors and Under Glass. Project Gutenberg text no. 22484. The accomplisht cook. Project Gutenberg text no. 22790. No Animal Food. Project Gutenberg text no. 22829. Farm drainage. Project Gutenberg text no. 23435. Vegetable Dyes. Project Gutenberg text no. 24076. The Apple-Tree. Project Gutenberg text no. 26132. Also available in E-Pustakalaya as a PDF, but that seems just derived from the Project Gutenberg plain text file. The Cookery Blue Book. Project Gutenberg text no. 26374. Health on the Farm. 1911. ≥273 pages. Project Gutenberg text no. 26718. Mostly about food safety, also about sanitation when living on a farm. Village Improvements and Farm Villages. Project Gutenberg text no. 26801. Electricity for the farm. Project Gutenberg text no. 27257. The American Housewife. Project Gutenberg text no. 28452. All About Coffee. Project Gutenberg text no. 28500. A New Orchard And Garden. Project Gutenberg text no. 29058. The Cook and Housekeeper’s Complete and Universal Dictionary; Including a System of Modern Cookery, in all Its Various Branches. Project Gutenberg text no. 29084. Canned Fruit, Preserves, and Jellies: Household Methods of Preparation. Project Gutenberg text no. 30441. Knots, Bends, Splices. 1898. 225 pages. Project Gutenberg text no. 30983. The Elements of Agriculture. Project Gutenberg text no. 31105. In-Door Gardening for Every Week in the Year. Project Gutenberg text no. 31423. The Cooking Manual of Practical Directions for Economical Every-Day Cookery. Project Gutenberg text no. 31605. Asparagus, its culture for home use and for market:. Project Gutenberg text no. 31643. The Apple. Project Gutenberg text no. 31729. Rural Health and Welfare. Project Gutenberg text no. 32158. Theory and Practice, Applied to the Cultivation of the Cucumber in the Winter Season. Project Gutenberg text no. 32818. Fur Farming. Project Gutenberg text no. 33830. Candy-Making Revolutionized. Project Gutenberg text no. 33974. Domestic Animals. Project Gutenberg text no. 34175. Methods of Destroying Rats. Project Gutenberg text no. 34437. A Course of Lectures on the Principles of Domestic Economy and Cookery. Project Gutenberg text no. 35567. Hand-Book of Practical Cookery for Ladies and Professional Cooks. Project Gutenberg text no. 35646. Farm Gardening with Hints on Cheap Manuring. Project Gutenberg text no. 36064. The New England Cook Book, or Young Housekeeper’s Guide. Project Gutenberg text no. 36689. Chlorination of Water. Project Gutenberg text no. 37389. Quantity Cookery. Project Gutenberg text no. 38615. Farm Mechanics : Machinery and its Use to Save Hand Labor on the Farm. 1918. 241 pages. Project Gutenberg text no. 39791. Farming with Dynamite. Project Gutenberg text no. 39869. Science and Practice in Farm Cultivation. Project Gutenberg text no. 40190. Miss Leslie’s New Cookery Book. Project Gutenberg text no. 40943. The Art of Cookery. Project Gutenberg text no. 41352. Paper-bag Cookery. Project Gutenberg text no. 41406. Soyer’s Culinary Campaign. Project Gutenberg text no. 42544. Field Mice as Farm and Orchard Pests. Project Gutenberg text no. 42718. Standard Paper-Bag Cookery. Project Gutenberg text no. 42955. The Protection of Fresh-Water Mussels. Project Gutenberg text no. 43177. The Laurel Health Cookery. Project Gutenberg text no. 43468. The Vegetable Garden: What, When and How to Plant. 1917. Project Gutenberg text no. 43531. Farm Engines and How to Run Them. Project Gutenberg text no. 43867. The Library of Work and Play: Guide and Index. Project Gutenberg text no. 46445. The Library of Work and Play: Housekeeping. Project Gutenberg text no. 44732. The Library of Work and Play: Home Decoration. Project Gutenberg text no. 44750. The Library of Work and Play: Needlecraft. Project Gutenberg text no. 44766. The Library of Work and Play: Working in Metals. Project Gutenberg text no. 45004. The Library of Work and Play: Mechanics, Indoors and Out. Project Gutenberg text no. 45083. The Library of Work and Play: Outdoor Work. Project Gutenberg text no. 45154. The Library of Work and Play: Electricity and Its Everyday Uses. Project Gutenberg text no. 45331. The Library of Work and Play: Gardening and Farming. Project Gutenberg text no. 13537. ABC of Vegetable Gardening. Project Gutenberg text no. 46052. Six Cups of Coffee. Project Gutenberg text no. 46144. A Practical Handbook on the Distillation of Alcohol from Farm Products. Project Gutenberg text no. 46377. Chats on Cottage and Farmhouse Furniture. Project Gutenberg text no. 44603. The Gastronomic Regenerator. Project Gutenberg text no. 47444. Electric Transmission of Water Power. Project Gutenberg text no. 48134. Farmers’ Bulletin 1230 - Chimneys & Fireplaces. Project Gutenberg text no. 48360. Farmers’ Bulletin 1889 - Fireplaces and Chimneys. Project Gutenberg text no. 48378. USDOA Farmer’s Bulletin, No. 59, Bee Keeping. Project Gutenberg text no. 48546. Farmers’ Bulletin 447: Bees. Project Gutenberg text no. 48547. USDA Farmers’ Bulletin No. 1438: Making Fermented Pickles. Project Gutenberg text no. 48722. Ten Acres Enough : A practical experience, showing how a very smal farm may be made to keep a very large family. With Extensive and Profitable Experience in the Cultivation of the Smaller Fruits. Project Gutenberg text no. 48753. Marion Harland’s Cookery for Beginners. Project Gutenberg text no. 49155. A Book on Vegetable Dyes. Project Gutenberg text no. 50079. Mrs. Beeton’s Dictionary of Every-Day Cookery. Project Gutenberg text no. 50191. The Art of Preserving All Kinds of Animal and Vegetable Substances for Several Years. 1812. ≥145 pages. Project Gutenberg text no. 52551. Something that seems to be an updated version from 1920 is available as well (item 302). The Chemistry of Cookery. Project Gutenberg text no. 53458. A Handbook of Fish Cookery. Project Gutenberg text no. 53525. Camp Cookery. Project Gutenberg text no. 54138. The English Housekeeper. Project Gutenberg text no. 55314. The Golden Rule Cook Book. Project Gutenberg text no. 55555. Canoe and Camp Cookery. Project Gutenberg text no. 55705. The Use of Ropes and Tackle. Project Gutenberg text no. 56585. Coffee and Chicory. Project Gutenberg text no. 57340. Hydroponic Gardening. (e-book lending only) 1972. 7th edition. Vegetable crops. 1923 (4th edition). Vegetable gardening. 1912 (3rd edition). Canned vegetables. 1893 (2nd edition). Coffee planting. 1902 (2nd edition). Productive farming. 1912 (7th edition). Farm Conveniences: And How to Make them. (e-book lending only) 1998. Irrigation farming in sunny Alberta. 1996. Safety guide for farming. 1987. Saving energy and dollars on the farm. 1985. The farm cook & rule book. 1923. Earning a living with sheep. 1973. Garment dyeing and cleaning: a practical book for practical men. 1901. The “indispensable” bicyclist’s handbook; a complete cyclopaedia on the subject. 1881. The rudiments of architecture and building, for the use of architects, builders, draughtsmen, machinists, engineers, and mechanics. 1872. The book of the exhibition of houses and cottages, Romford garden suburb, Gidea Park. 1911. Miss Beecher’s domestic receipt book; designed as a supplement to her Treatise on domestic economy. 1862. The Godey’s Lady’s book receipts and household hints. 1870. Five thousand receipts in all the useful and domestic arts : constituting a complete and universal practical library, and operative cyclopædia. 1829. Home and farm preparation of pickles. 1929. 30 pages. Home and farm preparation of vinegar. 1943. 24 pages. The Boston cooking-school cook book. 1918. 838 pages. Home vegetable gardening from A to Z, with special reference to Pacific coast conditions. 1918. 312 pages. More Income By Tree Planting. 12 pages. Friend Earthworm: Practical Application of a Lifetime Study of Habits of the Most Important Animal in the World. 1941. Agriculture For Beginners, Revised Edition. 2007. 274 pages. Raising Chickens for Additional Income. 12 pages. Lost Crops of Africa. Very high quality, discussing agricultural crops that are no longer used commercially in “modern” times. Volume I: Grains. 1996. 408 pages. Volume II: Vegetables. 2006. 378 pages. Volume III: Fruits. 2008. 380 pages. Lost Crops of the Incas: Little-Known Plants of the Andes with Promise for Worldwide Cultivation. 1989. 428 pages. Microbial Processes: Promising Technologies for Developing Countries. 1979. 213 pages. Modern Masonry Natural Stone and Clay Products. 1956. 164 pages. Insect-Pest Management and Control. 1969. 533 pages. Contains 400 pages of controlling insects biologically (with competitors and predators). Neem: A Tree for Solving Global Problems. 1992. 152 pages. Explores the potential of neem for pest control and medicine. Saline Agriculture: Salt-Tolerant Plants for Developing Countries. 1990. 152 pages. Microlivestock: Little-Known Small Animals with a Promising Economic Future. 1991. 472 pages. Sustainable Agriculture and the Environment in the Humid Tropics. 1993. 720 pages. Amaranth: Modern Prospects for an Ancient Crop. 1984. 92 pages. Biobased Industrial Products: Research and Commercialization Priorities. 2000. 162 pages. Only introductory, but interesting, as it states that aroudn 1900 almost all non-food industrial materials were also plant based, while 100 years later it was 95% petroleum based. So there is a way back! Control of Plant-Parasitic Nematodes. 1968. 185 pages. Emerging Technologies to Benefit Farmers in Sub-Saharan Africa and South Asia. 2009. 292 pages. Ecologically Based Pest Management: New Solutions for a New Century. 1996. 160 pages. Alternative Agriculture. 1989. 464 pages. Mostly case studies of U.S. American farms that “do things differently”. Applications of Biotechnology in Traditional Fermented Foods. 1992. 208 pages. Not directly useful, but provides the science background of fermenting processes that are already applied in traditional food processing. Alcohol Fuels: Options for Developing Countries. 1983. 125 pages. Appropriate Technologies for Developing Countries. 1977. 161 pages. This is a high-level analysis of appropriate technology, without any concrete examples or instructions. Roofing in Developing Countries: Research for New Technologies. 1974. 88 pages. Many interesting ideas, for example about the use of plastics and sulfur to create roofing and other building materials. No ready-to-use solutions though, but a lot if interesting technical data points. Prospects for Managed Underground Storage of Recoverable Water. 2008. 350 pages. Very interesting discussion of how to store excess water in groundwater, by infiltration with basins, trenches and wells. Quite high-level and not containing instructions directly, but instructions can be derived from this after study. Fisheries Technologies for Developing Countries. 1988. 176 pages. Water Conservation, Reuse, and Recycling: Proceedings of an Iranian-American Workshop. 2005. 292 pages. A not-too-relevant collection of scientific papers, but with an interesting paper about the construction of small-scale solar desalination plants. Obra de agricultura. 1520. 350 pages. Very old work about agriculture, in Spanish. This is considered the foundational work work of modern Spanish agriculture. An English translation is available commercially. A woodstove compendium. 1981. 378 pages. Investigates in much detail how to build a good wood or charcoal burning stove, with many examples of existing designs. Traditional Knowledge Digital Library. A database of 1200 medical formulations from the Indian Ayurvedic, Unani and Siddha traditions. In total 250,000 formulations, but the rest is only available to patent offices for research of “prior art”. The website has some severe usability issues, you have been warned. Popular British fungi: containing descriptions and histories of the principal fungi, both edible and poisonous, of our country. 1877. 138 pages. The Mushroom, Edible and Otherwise: Its Habitat and its Time of Growth. 1908. 609 pages. Also available as Project Gutenberg text no. 29086. Fig culture. Edible figs: their culture and curing. 1897. Also available as Project Gutenberg text no. 53136. Edible wild plants of eastern North America. 1943. 452 pages. Edible and poisonous mushrooms : a descriptive handbook to accompany the author’s colored chart of Edible and poisonous mushrooms. 1916. 76 pages. British edible fungi. How to distinguish and how to cook them. 1891. 237 pages. Toadstools, mushrooms, Fungi, edible and poisonous; one thousand American Fungi; how to select and cook the edible; how to distinguish and avoid the poisonous, with full botanic descriptions. 1912. 942 pages. Edible insects: Future prospects for food and feed security. 2013. FAO Forestry Paper 171. More a high-level overview, not farming instructions. Still useful. A short course in qualitative chemical analysis. Circa 1896. 142 pages. Aids to Survival. 2007. 120 pages. The bushcraft and survival guide of the Western Australian police academy. First published in 1979, this is the 25th edition. You can also find the 22nd edition (2002, 105 pages). Slow sand filter maintenance : costs and effects on water quality. 1985. 5 pages. Well drilling. 1943. 276 pages. A manual for water well construction produced by the U.S. government. Rudimentary treatise on well-digging, boring, and pump-work. 1860. 107 pages. Vegetable gums and resins. 1949. 188 pages. Vegetable gardening and canning; a manual for garden clubs. 1917. 96 pages. Vegetable gardeners’ handbook on insects and diseases. 1953. 30 pages. Vegetable forcing. 1929. 431 pages. About the practice of forcing the onset of flowers on plants by various treatments. Vegetable bottling and fruit preserving without sugar. 1913. 61 pages. Full-text access with a U.S. IP address only. Starting early vegetable and flowering plants under glass, including details of construction, heating and operation of small greenhouses, sash-houses, hotbeds, cold frames, etc. for the amateur and commercial grower. 1929. 303 pages. Full-text access with a U.S. IP address only. Putnam’s vegetable book. 1917. 225 pages. Profitable plants; a description of the principal articles of vegetable origin used for food, clothing, tanning, dyeing, building, medicine, perfumery, etc.. 1865. 359 pages. Productive vegetable growing. 1918. 339 pages. Pharmacographia indica. A history of the principal drugs of vegetable origin, met with in British India. 1889-93. Full-text access with a U.S. IP address only. New method, which teaches how to make vegetable manure, by a course of high fermentation, in fifteen days, without cattle, as good and more durable than farm manure: to appropriate it to the nature of soils and families of plants, and with great economy: it further shows how to prepare vegetable and mineral composts, and contains various processes. 1848. 90 pages. About the so-called “Bommer method” of composting. List of vegetable substances used in medicine. 1868. 68 pages. Full-text access with a U.S. IP address only. The indigenous drugs of India; or, Short descriptive notices of the medicines, both vegetable and mineral, in common use among the natives of India. 1867. 130 pages. The home garden : a book on vegetable and small-fruit growing, for the use of the amateur gardener. 1918. 199 pages. The home vegetable garden. 1917. 104 pages. Gardening for pleasure. A guide to the amateur in the fruit, vegetable, and flower garden, with full directions for the greenhouse, conservatory, and window garden. 1888. 404 pages. A Description and history of vegetable substances used in the arts, and in domestic economy. 1830-33. 3 volumes, >1000 pages in total. Concerns all plant based substances, not just of modern-day “vegetables”. The Bommer method, for the manufacture of a superior quality of manure; both from vegetable and mineral substances, with strict economy and great dispatch. Further showing the best mode of preparing vegetable and mineral composts, and a diversity of processes. 1867. 90 pages. The book for all households; or, The art of preserving animal and vegetable substances for many years. 1920. 113 pages. Animal and vegetable oils, fats, & waxes, their manufacture, refining, and analysis, including the manufacture of candles, margarine, and butter; a practical treatise. 1920. 218 pages. The book of vegetables and garden herbs; a practical handbook and planting table for the vegetable gardener. 1907. 312 pages. Full-text access with a U.S. IP address only. Control of diseases and insect enemies of the home vegetable garden. 1917. 72 pages. Every gardener his own seed grower : part II : home grown seed of annual vegetables. 1918. Full-text access with a U.S. IP address only. Fruit and vegetable diseases and their control. 1916. 65 pages. Fruit and vegetable manual. 1872. 60 pages. Origin and history of all the pharmacopeial vegetable drugs, chemicals and preparations with bibliography. 1921. This is indeed only about the history or herbal medicines, often referring to a work “Pharmacopeia” that should contain the actual recipes for preparation. The story of an ancient art, from the earliest adhesives to vegetable glue. 1930. 94 pages. Success in market gardening; a new vegetable growers’ manual. 1910. 271 pages. Subtropical vegetable-gardening. 1921. 309 pages. Practical basket making. 1914. 124 pages. Indian basketry. 1902. 274 pages. How to make Indian and other baskets …. 1903. 136 pages. Intensive vegetable gardening for profit and self-sufficiency. 1981. 159 pages. Chinese biogas digester : a potential model for small-scale, rural applications : a manual for construction and operation. 1985. 92 pages. Handbook for building homes of earth. 1980. 159 pages. Basics of Concrete. 24 pages. 1970. Improved food drying and storage : training manual. 1983. Indeed “only” a manual with lesson plans about this topic, not dense in instructive information. Forestry training manual : Inter-America region. 1984. 390 pages. Soils, crops, and fertilizer use : what, how, and why guide. 1980. 162 pages. Aquaculture training manual. 1990. 350 pages. A training manual in conducting a workshop in the design, construction, maintenance and repair of hydrams. 1981. 216 pages. Bamboo as a building material. 1982. 52 pages. Preserving food by drying : a math-science teaching manual. 1984. 218 pages. Utilization and construction of pit silos. 1977. 41 pages. Welding : Maryland state instructional guide. 1984. 374 pages. तरकारी खेती प्रविधि (Vegetable Farming Technology). 300 pages. Produced by the Government of Nepal, and written in Nepali. Contains instructions how to farm all kinds of vegetables typical for Nepal, an how to deal with plant pests and diseases. Also available on E-Pustakalaya, but there pages are mounted two to a sheet (2-up). Homemaking handbook for Village Workers in Many Countries. 1971. 237 pages. A teaching handbook for managing a household in a village. Provides the “basics for everyone”, but nothing very in-depth. Rice production : a training manual and field guide to small-farm irrigated rice production. 1980. 107 pages. Improved food drying and storage : training manual. 1984. 276 pages. Preparation for childbirth : a health workers manual. 1985. 88 pages. A Manual on conservation of soil and water. 1984. 207 pages. TEFL/TESL, teaching English as a foreign or second language. 1989. 222 pages. Rural water/sanitation projects : selected technical fact sheets from Water for the World, USAID. 1985. 284 pages. Guidelines for development of a home industry. 1981. 59 pages. Orchard management : horticultural practices for Peace Corps volunteers. 1986. 114 pages. Small-scale marine fisheries : an extension training manual. 1983. A complete handbook on backyard and commercial rabbit production. 1982. 82 pages. Accounting for the micro business : a teaching manual. 1984. 47 pages. Small scale beekeeping. 1982. 211 pages. Small farm grain storage. 1976. 99 pages. Reforestation in arid lands. 1977. 248 pages. Animal traction. 1984. 244 pages. Forestry training manual for Africa region. 1984. 382 pages. Practical poultry raising. 1981. 225 pages. Traditional field crops. 1988. 283 pages. The biogas/biofertilizer business handbook. 1982. 171 pages. Basic techniques of blacksmithing : a manual for trainers. 1982. 84 pages. Agricultural development workers training manual. 1984. Comes in four volumes. Farm blacksmithing. 1904. 91 pages. Also available from Soil & Health Library in what seems to be a 1901 edition. Farm mechanics text and handbook. 1896. 744 pages. Farm woodwork. 1919. 148 pages. Water purification, distribution and sewage disposal for Peace Corps volunteers. 1984. Crop production handbook for Peace Corps volunteers. 1969. 147 pages. Soil and water conservation for small farm development in the tropics. 2000. 342 pages. Technical health training manual : draft. 1984. 246 pages. A Short History of Aryan Medical Science. 1896. 280 pages. Shaving Made Easy: What the Man Who Shaves Ought to Know. 1905. 80 pages. Includes how to shave with a blade – very useful as disposable safety razors are not easily self-producable. Mysteries of bee-keeping explained : being a complete analysis of the whole subject. 1853. 410 pages. Beekeeping; a discussion of the life of the honeybee and of the production of honey. 1915. 522 pages. Swine; A Book for Students and Farmers. 1915. 108 pages. Also started as a WikiSource transcription project. Productive swine husbandry. 1915. 363 pages. Also started as a WikiSource transcription project. Knotting and splicing ropes and cordage. 1912. 160 pages. Knots, ties and splices; a handbook for seafarers, travellers, and all who use cordage; with historical, heraldic, and practical notes. 1884. 101 pages. Braiding and knotting for amateurs. 1936. 126 pages. Woodworking : a book of tools, materials, and processes for the handyman. 1916. 760 pages. Manual on cutting of metals, single-point lathe tools. 1939. 319 pages. Drilling ; Lathe work ; Boring-mill work ; Working chilled iron ; Bench, vise, and floor work ; Erecting. 1914. Probably >1000 pages. A treatise on lathes and turning : simple, mechanical, and ornamental. 1868. 298 pages. Building stone, lathing, plastering, and tiling, common brickwork, ornamental brickwork and terra cotta, lighting fixtures, use and design of lighting fixtures, architectural design. 1909. 496 pages. Metalworking made easy. 1942. 135 pages. Metalworking; a book of tools, materials, and processes for the handyman. 1904. 760 pages. A manual for hand woodworking. 1925. Two volumes. General shop woodworking. 1936. 127 pages. Machine woodworking. 1958. 203 pages. Woodworking guide. 1941. 192 pages. Wood working, wood turning, patternmaking, green-sand molding, core making, dry-sand and loam work, cupola practice, mixing cast iron. 1903. The soil of the farm. 1912. 107 pages. Note-book of agricultural facts and figures for farmers and farm students. 1922. 583 pages. Milk pasteurization on the small farm or in the home. 1981. 4 pages. Materials, design, construction, and equipment of farm buildings. 1913. 284 pages. Manures and some principles in farm manuring. 1892. 55 pages. A manual of farm blacksmithing. 1917. 114 pages. Making lime on the farm. 1938. 21 pages. Making and storing farm butter for home use. 1946. 16 pages. Insect pests of farm, garden and orchard. 1921. 707 pages. How to insulate homes and farm buildings. 1952. 204 pages. Home and farm canning. 1916. 31 pages. Home and farm food preservation. 1918. 276 pages. Home and farm manual. 1884. Practical methods of weather analysis and prognoses. 1952. 193 pages. Meteorology for all; facts about the atmosphere, air travel, weather forecasting, clouds, winds, storms [and] how to read the weather map. 1946. 162 pages. Meteorology: a text book on the weather, the causes of its changes, and weather forecasting, for the student and general reader. 1936. 549 pages. Gardening Fot The South; Or The Kitchen And Fruit Garden: Best Methods for their Cultivation, together with Hints upon Landscape and Flower Gardening. 1857. 412 pages. Green Manuring Principles and Practice. 1927. Humus. 1936. The standard reference work about humus for several decades. Humus and the Farmer. 1946. Publications of Dr. Christine Jones. Various dates after 2000. These articles explain how fungi in humus support plant growth by feeding plants with sugars and other complex nutrients. See also amazingcarbon.com for more publications. Ley Farming. 1948. How to grow grassland crops for cattle. More Food From Soil Science: The Natural Chemistry of Lime in Agriculture. Olena Farm, U.S.A.: An Agricultural Success Story. 1969. Plowman’s Folly. 1943. It was an influential work about alternatives to mainstream agriculture at its time. The value of the content for the present time has to be checked, though. Prairie Plants and Their Environment. 1968. Principles of Soil Microbiology. 1927. Root Development of Field Crops. 1926. Root Development of Vegetable Crops. 1927. Russian Comfrey: A Hundred Tons an Acre of Stock or Compost for Farm, Garden or Smallholding. 1953. Soil Fertlity. 1988. A university level textbook. Soil Fertility: A Guide to Organic and Inorganic Soil Amendments. 2013. This re-published version is licenced under Creative Commons. Soil Health Based on Organic Matter. 2006. Soil Microorganisms and Higher Plants. 1958. Soil, Grass and Cancer. 1959. It’s said to be a good work establishing the connection between nutrient balance in soil and health, but also that the parts about cancer are outdated now and better ignored or read with a lot of salt. A facsimile (not searchable) PDF variant is here. Staircase Farms of the Ancients. 1915. Documents the terraced agriculture techniques of the Inca. Sustainable Soil Management: Soil System Guide. The Challenge of Landscape. 1958. A textbook for small-scale rain-fed farming, esp. covering water conservation and irrigation practices. The City Forest. Argues for a “human environment revolution” where our actions don’t pollute anything anymore. With detailed proposals for how to apply that to cities. The Clifton Park System Of Farming. 1943. A system of switching between farmland and pasture to restore soil fertility. The Farming Manual: A Guide to Farm Work. 1930. An introduction to farmwork for “newbies”, with a lot of illustrations. The Keyline Plan. 1954. About keyline plowing, the method of plowing along terrain contourlines to let water seep into the ground instead of running off. The Living Soil. 1948. A case for organic farming, from systematic experiments done on the author’s farm. The Soil and the Microbe. 1931. The Survival of Civilization. 1982. From the time in the 1980s when people feared a new ice age. Might offer some interesting insights about rock dust fertilization of soils, though. The Waste Products Of Agriculture: Their Utilisation As Humus. 1931. The Weed Problem: a new approach. 1951. Thirty Years Farming on the Clifton Park System. 1944. Experiences with a system that restores soil fertility with the help of deep-rooted grasses. To Love And Regenerate The Earth: Further Perspectives On The Survival of Civilization. 2002. Topsoil and Civilization. 1955. Built around the reading of history that every civilization first destroys its soil fertility by letting the soil erode, and then is destroyed by this in turn. Trees and Toadstools. 1945. A foundational work of the organic movement, stating that trees and fungi are in a symbiotic relationship and thus that it’s important to care for the microbial soil life instead of destroying it with chemicals. Weeds: Guardians of the Soil. 1950. Sir Albert Howard in India. 1953. A review of the work of this important organic agroeconomist in India, including his articles about this time. Handbook of Biomass Downdraft Gasifier Engine Systems. 1988. 148 pages. A very detailed, technical design manual how to run engines up to 200 kW from woodgas and other biomass-derived syngas. Bats, Mosquitoes and Dollars. 1925. A system how to eliminate virtually all night-flying mosquitoes with colonies of bats. Building Soils for Better Crops. 2002. 241 pages. A thorough, practical manual on all aspects of soil management, from organic matter to nutrients to erosion control. Common-Sense Compost Making By the Quick Return Method. 1946. Companion Planting: Successful Gardening The Organic Way. 1983. A unique organic gardening system created by Gertrud Frank from Germany, from her own long-term observations of growing the family’s food. Construction of a Simplified Wood Gas Generator for Fueling Internal Combustion Engines in a Petroleum Emergency. 1994. 90 pages. This is the second edition. The document as a whole is an improved version of a public domain document by the same name from 1989 by the U.S. “Federal Emergency Management Agency”. Bth are actual construction plans that can be followed with simple tools and materials, including a stainless steel kitchen bowl. Cover Crops for Vegetable Growers. 1998. Dairy Cows and Their Management. 1944. Esther Dean’s Gardening Book: Growing Without Digging. 1977. An early permaculture book of a method the author developed for gardening with “artificial” soil made from layers of paper, hay, straw, fertilizer and compost, yielding phenomenal crops. Fifty Years Among the Bees. 1911. A classic work of beekeeping. This Ugly Civilization. 1929. An economic rationale by a U.S. homesteader family about how domestic production of food, shelter and clothing can provide modern comforts while saving abut 30-40% of total worktime. Quite old material at the very start of the back-to-the-land movement but it could inspire a modern version for such an account, updated to include automation in both industrial and domestic production. Henley’s Twentieth Century Formulas, Recipes and Processes; Containing ten thousand selected household and workshop formulas, recipes, processes and money saving methods for the practical use of manufacturers, mechanics, housekeepers and home workers. 1914. 811 pages. Should be very valuable, as all processes from that time are DIY technology today. Gardening Without Irrigation …or without much, anyway. 1993. Developed in Oregon, U.S., but with many applications in all places where rain-fed farming is not possible during part or all of the year. Getting Food From Water: A guide to Backyard Aquaculture. 1978. Managing Cover Crops Profitably. 1998. Melons Under Cloches. 1952. On growing melons, cucumbers and zucchini in areas usually too cold for them. Organic Gardener’s Composting. 1993. Contains both basic instructions for composting, and then a detailed analysis of the nutrition value consequences of composting and how to make great compost. Producer Gas For Motor Vehicles. 1940. A manual for creating a wood gas generator for motor vehicles, from the time during World War II when petrol was rationed in Australia. Solargas: How to easily make your own auto and heating fuel for pennies a gallon. 1979. How to DIY produce ethanol and methanol from all kinds of organic wastes and solar power. Your Engineered House. 1964. Step-by-step instructions for designing and building houses from wood. Biochar as a Geoengineering Climate Solution: Hazard Identification and Risk Management. 2012. 310 pages. Collects all the available knowledge about the impact of different types of biochar on plant life and the climate. Even when not applied on global scale, the informed use of biochar as a soil amendment makes it simple to achieve a carbon negative lifestyle. How to Grow More Vegetables: Than You Ever Thought Possible on Less Land Than You Can Imagine. 2012. 545 pages. A good reference work about the bio-intensive growing method, which combined with agroforestry is my personal favorite of the eco-restorative farming methods. Also available in French, Portuguese and Russian. Terra Preta Sanitation 1. 2015. 148 pages. A manual about all aspects of terra preta, including its formation. Then also discussing a low-tech system for the treatment of human excreta that results in urine and vermicompost for agricultural application. (Year of publication is found in the imprint, p. 146). Construction Plans for the Champion-2008 TLUD Gasifier Cookstove (including operational instructions). 2009. 18 pages. This is quite a unique device because creating small-scale wood gasifier stoves is thermodynamically difficult (as a large portion of biomass must be kept pretty hot to keep the reaction going). This was the first device that pulled this off. It can be fitted to be used in kitchens around the world and will run on a variety of biomass. See also here for demonstration videos and other materials. EarthOS. 2013. 856 pages. The “Earth Operating System” is a comprehensive proposal for sustainable and peaceful life on the planet by enabling everyone to live in autarkic, sustainable units in village size. The document is written as a list of equipment to enable this, optimized for maximum mobility by separation into multiple levels of varying mobility and completeness (individual, group, network, village, seastead). The document is still rather in a draft state, but contains a lot of ideas and inspirations for autarkic living that have never been tried before. I (@matthias) wrote this myself. See also the release announcement page on my website. An updated 2018 version will be published soon, replacing this one. The Bathroom. 1976. 286 pages. An alternative version (better scan quality but without text) is available on scribd.com. The classic book by Alexander Kira that challenges (and challenges) the construction of sinks, showers and toilets. Very thorough background information on human anatomy as needed to design bathroom furniture, and also including his own designs that are still not realized in any off-the-shelf equipment. Interestingly, the book is listed as having public domain licensing (CC-0). Workers’ Guide to Health and Safety. Also available as chapter-wise PDF files from here. About recognizing workplace hazards and taking action to protect health and safety. Focuses on electronics, show and garments industries. Health Actions for Women. Also available as chapter-wise PDF files from here. Contains inspirations for how to deal with specifically female public health issues in the community. Where There Is No Doctor. Provided as chapter-wise PDF files for download. A classic work used around the world in resource-constrained healthcare settings. New Where There Is No Doctor. Also available as chapter-wise PDF files from here. These are several advance chapters of a completely new edition of the classic “Where There Is No Doctor”. Where There Is No Dentist. Also available as chapter-wise PDF files from here. Discusses preventive dental care, diagnosis and treatment in simple step-by-step instructions. Where Women Have No Doctor. Also available as chapter-wise PDF files from here. Covers the prevention, understanding and treatment of specifically female health issues, including reproductive health, violence, mental health issues and HIV, among others. A Book for Midwives. Also available as chapter-wise PDF files from here. The essentials of care before, during and after birth. Helping Health Workers Learn. Provided as chapter-wise PDF files for download. Contains many inspirations how to make health worker education engaging and interesting. A Community Guide to Environmental Health. Also available as chapter-wise PDF files from here. How to improve the well-being of children with disabilities in resource-constrained settings. Helping Children Who Are Blind. Also available as chapter-wise PDF files from here. How to improve the well-being of children with vision problems. Helping Children Who Are Deaf. Also available as chapter-wise PDF files from here. A Health Handbook for Women with Disabilities. Also available as chapter-wise PDF files from here. Health for All Medical Glossary. Also available as chapter-wise PDF files from here. Hundreds of health-related technical terms translated between English, Spanish, Creole and French. OHORIZONS Wood Mold Construction Manual. How to build a wooden mold and use that to build slow sand filters from concrete for water house-level purification. OHORIZONS Appendix to Construction Manual. Safety information, FAQ, parts lists etc. for the sand filter wood mold, in addition to “Wood Mold Construction Manual” (no. 492, see above). Introduction to BioSand Filters. Background information for building a slow sand water purification filter. UT Extension Plan Files. The University of Tennessee’s collection of 300 plans for agricultural buildings and equipment. They are in the public domain and may originate from the 1970s to 1980s. Not a single PDF but you can download and combine the PDF files yourself, so we count it as one “book” here. Abut 150 MiB in total. Fences, gates, and bridges; a practical manual. 1892. 204 pages. Instructions about building and maintaining farm fencing. Handy farm devices and how to make them. 1912. 304 pages. With many illustrations, showing how to make all kinds of simple tools oneself, incl. for gardening, farming, livestock keeping, woodworking and other workshop use. Wood for Energy. Ca. 1983. A document by the FAO’s forest department, discussing the main ways how to use wood for heating, cooking and electricity in a sustainable way. Simple technologies for charcoal making. 1983. A document by the FAO’s forest department, discussing earth pits, eath mounds, brick kilns and metal kilns for wood carbonization. The fireless cook book. 1909. 342 pages. Instructions for making an insulated slow-cooker box and lots of recipes for using it. A manual of home-making. 1920. 736 pages. A detailed treatment of most household and kitchen work. Due to the technology in use at the time, it contains many “low-tech solutions” for today. Future 50 Foods. A 2019 report by WWF and Knorr identifying 50 largely ignored, plant based food items that are a suitable basis for a healthy, tasty and environmentally sound future food system. Good for inspiration what to grow. Use of Iodine for Water Disinfection: Iodine Toxicity and Maximum Recommended Dose. An in-depth treatment of the dosage, safety and long-term implications of different types of iodine use for water disinfection. Article from a medical journal, with meta information here. The Environmental and Civilization Crisis and the Permaculture Alternative. 328 pages. A book that is free to distribute. Not too deep about technical knowledge, but a lot about the cultural and lifestyle and learning aspects of transitioning to permaculture. The DIYer (revised). 2018. 209 pages. Covers all kinds of simple and mostly aesthetics focused DIY, arts and crafts projects around the house. This version has messy formatting and no table of contents, and you have to jump through some hoops before downloading it for free, but it’s still valuable. Treatment Technologies for Human Faeces and Urine. 2009. 91 pages. Discusses the theory of feces and urine, and composting incineration and urine heat treatment as safe low-tech treatment methods. I used the following resources while I was designing a disaster preparedness plan to my family previous house…it is not 100% self-sufficient as you might need to rely on hospitals and Telecommunications (phone, Radio …etc). THE GREENEST BUILDING IN THE NETHERLANDS, - NO EXTERNAL FUEL, ELECTRICITY, WATER OR SEWAGE : a self-supporting building without the need of using most of the public utilities. Couldn’t find information about the building cost, though. Won’t be cheap – but still, very inspiring tech solutions in there. What I’m very interested in is to create a building system (and integrated small workshops and factories) that provides the same features of low-impact / sustainable living while being completely open source and DIY, self-manageable by a village. The closest I have found so far is ProtoVillage in India … they seem to be low in activity in recent years though Also there is of course Open Source Ecology, but they rely too heavily on tech gadgets to be truly DIY in low-infrastructure regions. To their benefit, after 10 years they are still going and making progress. I need to go through all these links. This morning I was thinking about how to find safe alternative energy source without bothering the government and I found myself opening this topic. I think this could be a sufficient reference soon. More additions! Dropping this here for @anu to include it into the “All Literature” list in the wiki above (just add it to the end there). Afterwards, you can delete the links from below. I am afraid that link doesn’t work, I kept trying opening it but reaching only the first page. Maybe also it is just my connection or it is blocked by the authority. Right. Didn’t work for me either. Found it in other places, though. Link updated now!